The Mars Orbiter Mission (MOM), also called Mangalyaan "Mars-craft" is a spacecraft orbiting Mars since 24 September 2014. It was launched on 5 November 2013 by the Indian Space Research Organisation (ISRO). 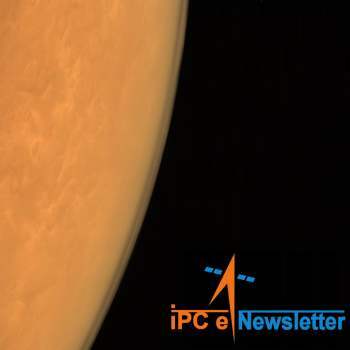 Welcome to the October 2014 edition of the IPC e-newsletter. The IPC e newsletter is distributed free to more than 4000 people around the world. Nippon Paint Philippines, one of the largest paint manufacturers in Asia, is making a shout out to students of interior design and architecture to participate in the Nippon Paint Young Designer Awards (NPYDA) 2014. BASF SE (BAS), the world’s biggest chemical maker, was ordered to face claims it fraudulently hid evidence that its talc products contained asbestos as it sought to scuttle thousands of personal-injury lawsuits. The U.S. Court of Appeals in Philadelphia yesterday revived a suit alleging a unit of BASF, based in Ludwigshafen, Germany, and law firm Cahill, Gordon & Reindel LLP systematically concealed damaging evidence and manufactured documents to defeat claims that its talc contained cancer-causing asbestos. The unit mined talc, a mineral used in products ranging from wallboard to balloons. Akzo Nobel NV (AKZA), Europe’s largest paintmaker, is being sounded out as a potential buyer of Axalta Coating Systems valued at $7 billion, according to people familiar with the matter. Carlyle Group LP (CG:US), which bought car-coatings company Axalta from DuPont Co. (DD:US) for $4.9 billion in February 2013, is open to bids alongside a planned initial public offering, said the people, who asked not to be identified because the plan is private. Investment bankers are speaking with Amsterdam-based Akzo Nobel to pitch a deal, although the Dutch company hasn’t indicated whether it will pursue Axalta, the people said. Asian Paints today said it has roped in Bollywood diva Deepika Padukone to endorse its brand, Royale Play. The brand which represents the power of transformation, was introduced in 2004 and targeted at women who take an active role as a curator of home décor. Royale Play stands for being younger, dynamic, fun, colourful, “opening up possibilities”, creativity and vibrancy. The Karnataka Cabinet on Friday approved transferring 55.16 acres land to the Karnataka Industries Areas Development Board (KIADB) to be allotted to Asian Paints Ltd. Earlier, the State High Level Clearance Committee (SHLCC) headed by Chief Minister Siddaramaiah had cleared Asian Paints Ltd ₹2,300’-crore proposal to set up 6-lakh-kilolitres-a-day (KLPA) capacity integrated paint and resins/emulsions manufacturing plant with 8 MW of solar power plants. BASF has increased prices for numerous pigments and dyes by up to 15 percent worldwide with effect from September 1, 2014, or as contracts allow. The products affected are predominantly azo pigments, yellow and red high performance pigments, effect pigments, phthalocyanines and dyes. Price increases are necessary due to the current market situation, significantly higher raw materials costs and rising cost of environment, health and safety as well as maintenance. Clariant, a world leader in specialty chemicals, today announced the inauguration of an important new extension to its production facility in Roha, south-east of Mumbai, India. The expansion doubles its capacity at the facility for pigments and pigment preparations. This higher output will enable the company to increase its market coverage in India and the neighboring countries of Bangladesh and Sri Lanka, and to provide products better tailored to customer needs. The Rs 40,600-crore Indian paint industry is likely to see a 20 per cent compounded annual growth rate until 2016, says a study by business chamber Assocham. This is due to increasing demand from retail consumers, on rapid urbanisation, and development of rural markets. The industry will reach the level of Rs 62,000 crore in the next two years, it said. A rise in disposable income of the average middle class coupled with increasing investment on education, urbanisation, development of the rural market and various launches of many innovative products will be major drivers, it said. India is the second largest consumer of paint in Asia. It is early days still but Gurmeet Singh Narula, a Shalimar Paints dealer since 1970, has a spring in his step. For the first time in 20 years, his paint deliveries are on time, the quality of paint has improved over the last five months, and customers are asking for the paint by its brand name, says Narula, who averages a crore in monthly sales. His revenues haven’t gone up meaningfully, but he’s confident that it’s only a matter of time before they do. “In terms of product quality, you can now replace Shalimar with Asian Paints [market leader], and people won’t know the difference,” says the Delhi-based dealer. Viessmann has developed a new cold room powder coating for all surfaces of elements both exterior and interior walls, floors and ceilings. The antimicrobial coating – now available as standard on Viessmann’s TECTO Standard and TECTO Special cold room ranges – is claimed to ensure the hygienic protective coating on Viessmann products is maintained for longer. The company claims SmartProtec demonstrated advanced performance in product testing, combatting 20 per cent more microbial strains than the company’s previous coating, SilverProtec, which contained antibacterial properties alone. Nordson Corp. acquires Netherlands-based Dima Group B.V.
WESTLAKE, Ohio—Nordson Corp. of Westlake has acquired Dima Group B.V. of the Netherlands for an undisclosed amount, the company announced on Tuesday, Sept. 2. Dima makes “conformal coating, dispensing and surface mount technology equipment for the global electronics assembly market,” Nordson said in a statement. The acquisition is not material to the precision dispensing equipment company’s results. Dima will be part of Nordson’s Advanced Technology Systems segment, the firm said. -- Nordson Corporation NDSN, -0.77% is pleased to announce it has awarded a total of 100 college scholarships for the 2014-15 school year through its Nordson BUILDS Scholarship Program. Asia's leading paint manufacturer Nippon Paint China held their brand renewal conference at the Commune by the Great Wall hotel on September 3. With the theme of the conference being "More Than Paint," Nippon Paint China put forward their highly anticipated brand renewal plan. Berger Paints India Ltd has informed BSE that Mr. Dhirendra Swarup has been appointed as an Additional Director of the Company pursuant to Section 161 of the Companies Act, 2013 with effect from September 08, 2014. Akzo Nobel India Ltd, resigned from the company's board with effect from September 9, 2014, said the company in an exchange filing. This was due to the limitation on the number of board memberships held by an Independent Director as mandated under the new rules, the statement added. Gema USA Inc. congratulates Chris Merritt for celebrating 30 years of service with the company. Merritt is the general manager for Gema USA Inc., a division of Graco Inc.
Robin Schwamberger has joined the Nordson Corp.’s Industrial Coatings Division as a liquid systems specialist. News alerts on WhatsApp is a great idea.